A Smart Walkie-Talkie in your pocket. 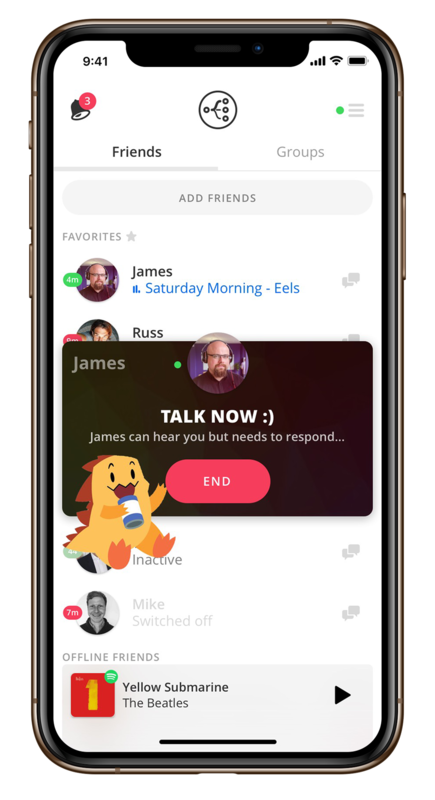 Talk to your friends instantly. Connections are already primed, meaning you don’t wait 10 seconds to establish a phone call. Fast like a walkie-talkie, but becomes a two-way call upon response. “Hey Switchboard talk to Jim Bob” to connect to a friend, “Respond” to respond to an incoming connection, or set your own availability with “Switch On/Off”. Keep your headphones in and phone in your pocket! We are also working toward a fully conversational user interface, so stay tuned! "Hey Switchboard, Talk to James!" Voice messages are automatically transcribed and sent as both text and audio. Having both text and voice means you don’t need to worry about correcting like you do with the mic-input on the keyboard. Push notifications often cause voice messages to flow naturally into two-way conversations. 1) Unlike other “listen together” parties, people can actually talk thanks to voice detection and automatic volume adjustment. 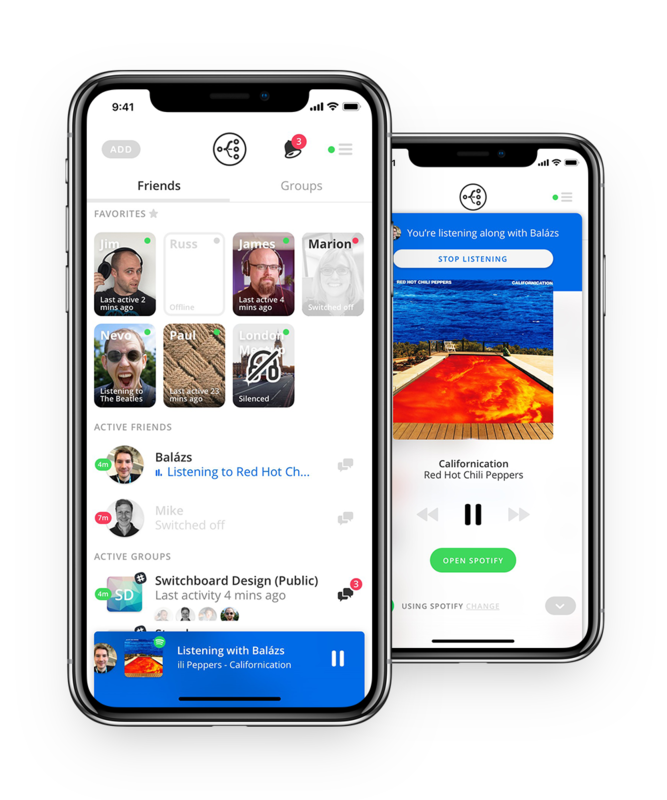 2) You can listen to your own music or join friends to listen in sync. Let your friends drop in or start a music group and take turns being the DJ. Listen to music with friends - even across the globe. The music volume ducks when one of you starts talking. 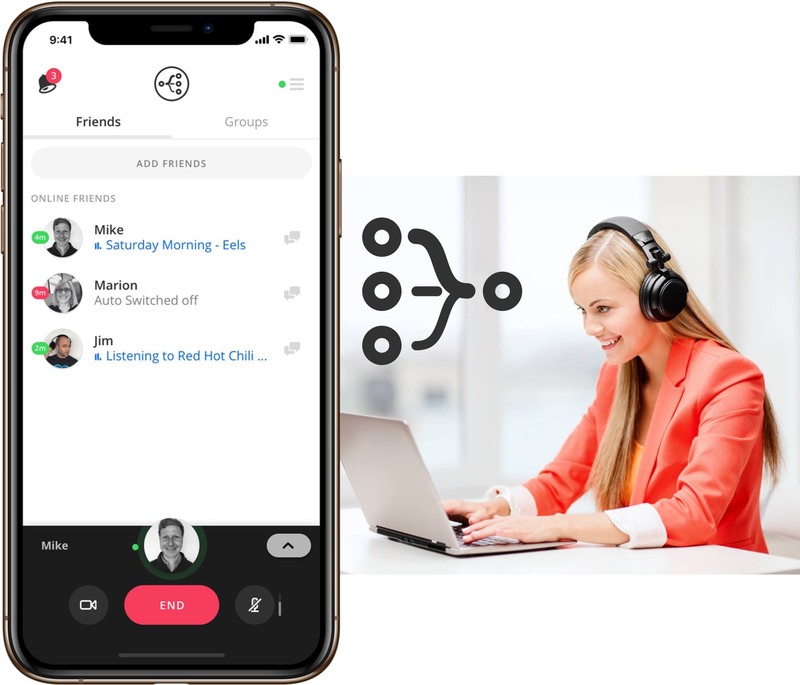 Switchboard is like Slack for audio. Connect spontaneously with voice to feel more connected. Watch sports together with live voice & video chat to feel like you're in the same room.